I don’t know which one’s gonna stick, but you heard it here first, folks. Carmar’e! Armelo! Which one’s it gonna be? How do I copyright or trademark that crap? I promise you… you will see or hear one of those on ESPN and I won’t get the credit. Sad, but true…we live in a land of Brangelina, Bennifer, and TomKat. You know there’s actually a name for those words? “Portmanteau word: Formed by merging the sounds and meanings of two different words.” Who knew? Here is the beautiful couple. Yea for Chris Broussard! What’s that stupid saying about a broken clock even being right twice a day? 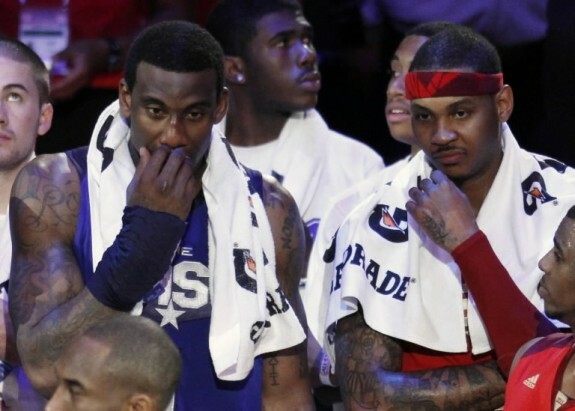 To the disgust of all Lakers fans everywhere…Broussard is reporting Carmelo Anthony has been traded to the New York Knicks. (Now I’m hearing maybe the Denver Post was the first to report it.) Lakers fans were fooled into getting their hopes up by that “insider” Chris Broussard, that reported ‘Melo was close to being traded to no less than 5 teams. Well, on the bright side for Lakers fans, ‘Melo is out of the West, and the Thuggets have proven to be a tough W in the playoffs. Regardless, the deal is done, and Carmelo is joining forces with Amar’e Stoudemire on the New York Knickerbockers at Madison Square Garden. You can find all the crazy details to this trade somewhere else, a dozen players, 3 teams, a bazillion dollars exchanged, whatever. One key point, Chauncey Billups is coming with him. If the Knicks can lock both of them up, that’s huge. Bottom line, the Knicks made out like bandits on this trade. 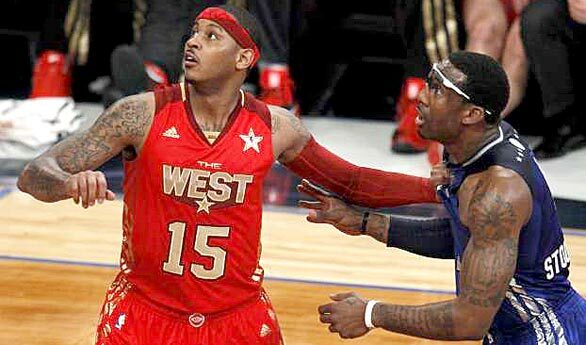 Carmelo is a once in a lifetime player. Similar to the Cleveland Cavaliers after Lebron James took his talents to South Beach, the Denver Nuggets are going to spend the next 5 years, at least, trying to replace Carmelo Anthony. 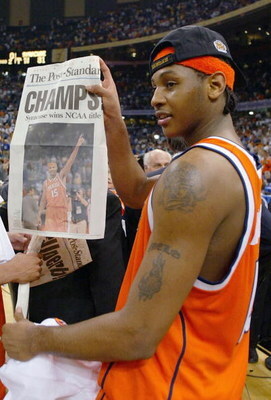 Oh, Knicks fans… more good news for you…the only time in his life that Carmelo Anthony spent a season playing in New York…he brought the National Championship to the Syracuse Orange. 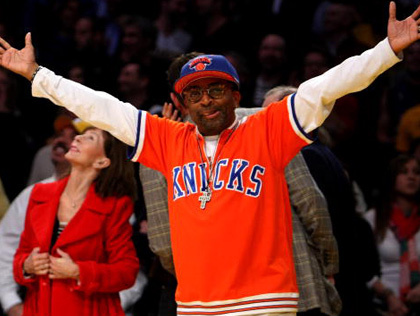 Spike Lee has got to love those odds. This entry was posted in Basketball, NBA and tagged Amare Stoudemire, Armelo, Carmar'e, Carmelo Anthony, Carmelo Trade, Chris Broussard, Denver Nuggets, ESPN, Knickerbockers, Lakers, Lebron James, Melo, New York Knicks, Spike Lee. Bookmark the permalink.